If you fly often at all, you know the frustration that comes from hours spent in a crowded airport. It’s even worse if you’re travelling across an international border, with long layovers, and a multitude of connecting flights. Private airport lounges have made the entire experience more enjoyable, by offering travellers seclusion, a chance to unwind, and even get some work done while they wait for their next flight. But if you thought airport lounges were only available to elite business travellers, or the well-heeled jet set, you’re in for a pleasant surprise. In fact, it’s more affordable than ever to visit a private airport lounge on your next trip. In this article, I’ll review the most popular private airport lounges in Canada and around the world, to help you figure out which network is right for you. 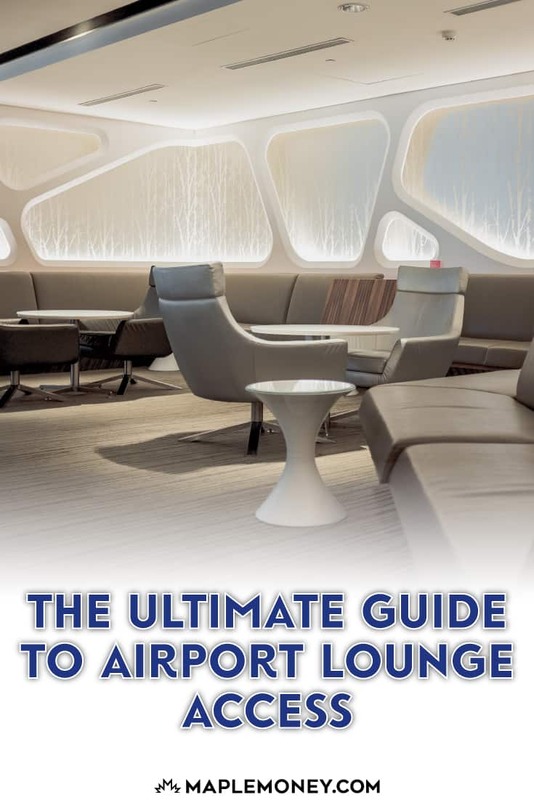 But first, I’ll go over the many ways you can access an airport lounge next time you fly. Let’s get started! If you don’t want to be bothered with trying to qualify for lounge membership through your airline’s loyalty program, you can always purchase one outright from the airline you travel on most often. Most airlines and their partner alliances sell annual memberships to their network of lounges. Prices typically start at $300 and go up from there. Keep in mind, there is usually a one-time setup fee of around $100. Before doing this, you should always research which airports are included in the membership, to make sure that they are located in cities that you are flying to on a regular basis. The other option is to pay for Priority Pass. They offer access to over 1,200 lounges worldwide, regardless of the airline you’re travelling with. You can purchase several levels of membership, from $99/year all the way up to $429 for a premium membership, ideal for the most frequent flyers. Some airlines will sell you a daily pass, for a one time visit to one of their lounges. This may be ideal for someone who doesn’t travel all that often and has no need for a lounge membership. Most of these passes range between $30-$50 per day. Next time you fly, check to see if your airline provides this as an option. Not all airport lounges are member-only. If you don’t have a membership through a specific airline, or with your credit card benefits, many airports are now making public lounges available for a fee. Take the Plaza Premium Lounge in Toronto’s Pearson International for example. For around $30, you can relax in comfort before boarding your next flight, and grab an espresso, or alcoholic beverage while you’re there. If you’re a frequent flyer who tends to fly on one airline, there’s a good chance you can rack up those loyalty points pretty quick, and achieve elite status. Most airline alliances will offer their elite members free access to their lounges worldwide. Make sure you check with your airline to see what’s available. Most airport lounges allow guests to accompany members. So if you’re travelling with someone who has access, they may just be kind enough to invite you along. Keep in mind, however, that guest policies vary between lounges, so you’ll want to do some research before you travel. Many premium travel credit cards include access to private airport lounges as a cardholder benefit. For example, in Canada, there are a handful of Mastercards that include a membership to Mastercard Airport Experiences by LoungeKey, giving cardholders access to over 1,000 lounges worldwide. The BMO World Elite Mastercard even includes 4 annual lounge passes, while the BMO Air Miles World Elite Mastercard offers 2 complimentary lounge passes each year. I’ll cover LoungeKey a bit more below. According to its website, Priority Pass has been providing travellers with independent lounge access worldwide since 1992. Today, they boast over 1,200 lounges in 500 airports, across more than 140 countries globally. Priority Pass offers three levels of membership; Standard, Standard Plus, and Prestige, for $99 USD, $299 USD, and $429 USD respectively. With a standard membership, you do need to pay $32 each time you visit a Priority Pass Lounge, while the Standard Plus comes with 10 free passes, and the Prestige level includes unlimited passes for members. At all levels, guests are welcome for an additional $32 per visit. What I like about Priority pass is that they are independent and open to all travellers. If you’re willing to pony up for a membership, it doesn’t matter what airline you’re with, or how frequently you fly. For Canadians, Scotiabank offers a number of credit cards that include access to Priority Pass lounges. One example is the Scotiabank Passport Visa Infinite card, which comes with Priority Pass membership and 6 free lounge visits/year. The card carries an annual fee of $139. LoungeKey has partnered with Mastercard Airport Experiences to bring private lounge access to Mastercard customers around the world. Similar to their parent company, Priority Pass, LoungeKey isn’t connected to an airline, so lounge access doesn’t depend on the carrier you’re using. What does matter, is whether or not you own a qualifying Mastercard. In Canada, only a handful of premium Mastercards qualify for the Mastercard Airport Experiences program by LoungeKey. Cards from RBC, HSBC, and Rogers are included in the program, but the most comprehensive offering comes through the BMO family of Mastercards. For example, the BMO World Elite Mastercard offers cardholders 4 complimentary lounge passes on an annual basis. And while the card does carry a hefty $150 annual fee, it’s a fairly rich rewards card. Currently, BMO is offering up 35,000 welcome bonus points, and new customers will see the $150 fee waived in the first year. Cardholders receive 3 BMO Rewards points for every dollar spent on travel, dining, and entertainment, and 2 reward points everywhere else. The value of the 4 free lounge passes is approximately $140 per year. 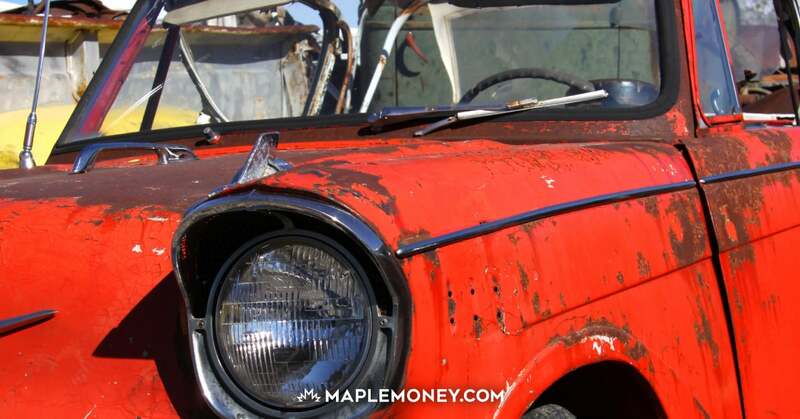 If this interests you, you can use my exclusive link to get more information and even apply for a BMO World Elite Mastercard today. For more information on Mastercard Airport Experiences by LoungeKey, check out my in-depth review. 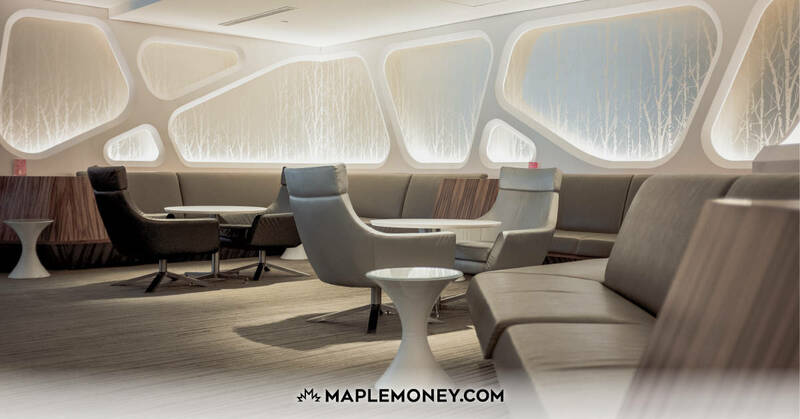 Unlike many products that we review here at MapleMoney, it’s tough to single out a winner amongst the field of private airport lounges that exist today. For starters, most individual lounges offer a similar range of services. Do you always fly the same airline, to the same cities? Is your primary credit card connected to a specific airport lounge network? Do you do most of your travelling with a preferred airline? All of these factors and more will weigh into your decision. With that in mind, I’ve put together the following list of the world’s leading airport lounge programs, and why you might consider each one. Not surprisingly, Air Canada Maple Leaf Lounges are available to Air Canada customers. Not only does Air Canada have an extensive network of lounges in Canada, 16 in total, but with the right level of membership, Air Canada passengers gain access to more than 60 lounges in Canada, the U.S. and Europe, and over 210 lounges worldwide. Lounge access isn’t only available to Air Canada’s best customers. Passengers travelling on various economy class fares can also purchase lounge access. Prices range from $25-$50 CAD per visit, depending on your class of ticket. The services in a Maple Leaf Lounge are similar to what you’ll find in most. Free WiFi, complimentary light snacks and beverages, newspapers and magazines, and business centres, complete with desktop PCs and colour printer access. Some locations include showers, to help weary travellers to feel refreshed after a long flight. Visit Air Canada’s website for full details. I should note, both TD Bank and CIBC have Aeroplan rewards credit cards that include one annual pass to a Maple Leaf Lounge. Centurion Lounges are exclusive to American Express Platinum and Centurion cardholders. When they arrive, guests can expect a premium experience, compliments of American Express. In addition to the typical lounge offerings, Centurion provides guests with spa services, showers, even wine tasting areas, in many of their locations. If there’s a downside to Centurion Lounges, it’s that there aren’t enough of them. Currently, they are located in 9 airports, including 8 in the continental U.S. The lone international lounge is in Hong Kong International, Terminal 1. Thankfully, American Express cardholders are not limited to Centurion lounges. Amex has a number of other lounges of their own, and through the American Express Global Lounge Collection, are connected to hundreds of other lounges worldwide. I’ll cover the Global Lounge Collection in more detail below. As for the Centurion Lounge experience, if you’re a loyal American Express customer, and are a frequent flyer to major cities in the U.S., this might be the one for you. The Desjardins Odyssey lounge is available in one location only, Montreal’s Pierre Elliott Trudeau International Airport. This means that unless you’re a Quebec resident, travel frequently in and out of Montreal, and carry a Desjardins credit card, the Odyssey lounge will be of little interest to you. If you do travel through this airport often, Desjardins has no less than 4 credit cards that offer access to the Desjardins Odyssey Lounge. The most comprehensive benefit comes with the Desjardins Odyssey Infinite Privilege Visa, which features 12 annual passes to the Odyssey lounge, as well as 6 Priority Pass lounge passes. Plaza Premium Lounges are owned by Plaza Premium Group, a company based in Hong Kong. They operate upscale, public lounges, in many major airports around the world. 160 lounges in over 40 international airports, to be exact. A 30% discount applies for any children between the ages of 2-11, while children under the ages of 2 are free. Before you travel, you can search for available lounges based on location, as well as services offered, through Plaza Premiums website. And if you want to book your visit in advance, you can do that as well, directly on the site. I’ve gone to quite a few Plaza Premium lounges as a member of Priority Pass and Mastercard Airport Experiences, which is a great way to get into these lounges. Earlier in this article, I touched on the Centurion Lounge, exclusive to American Express Platinum cardholders. Platinum cardholders actually have access to a worldwide network of lounges, through the American Express Global Lounge Collection. In addition to Centurion lounges, the Global Lounge Collection includes over 1,000 Priority Pass and Plaza Premium lounges (also featured in this article). Platinum cardholders receive the Priority Pass Select membership, while American Express business platinum cards come with the basic membership. Both cards also provide access to Plaza Premium lounges in Canada and around the world. You can get more information on The American Express Platinum card through their website. Which Private Airport Lounge Is Best for You? We’ve looked at five of the top airport lounge networks available to Canadian travellers. As you can see, the services offered in most lounges are very similar. It boils down to how you travel. The places you go, the airlines you fly, and which loyalty programs, if any, you take advantage of. The best one for you is a personal choice only you can make.